The Court of Appeal today said that the decision on the support bail application filed by MP Johnston Fernando will be announced on September 17. The petition seeks a court order declaring the decision taken by the Kurunegala High Court, to remand the parliamentarian until the end the trail of a case against him, as unlawful. The petition was taken up before a judge-bench comprising Justices Janak de Silva and Achala Wengappuli, today (12). 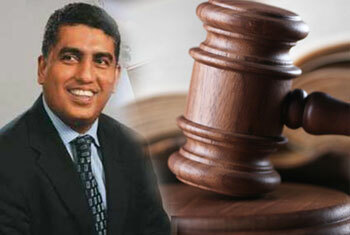 President’s Counsel Romesh de Silva, appearing on behalf of former minister Johnston Fernando, making submissions said that the Kurunegala High Court had granted bail to his client on a previous occasion with regard to the case filed over financial irregularities at Sathosa. He argued that despite that the High Court Judge had decided to once again place the MP in remand custody over the same charges, a move which he claimed was completely against the law. The defence attorney further said that his client had not violated any bail condition on previous occasions for him to be remanded after the cancellation of bail and that therefore this is a violation of his fundamental rights. The state also made submission to the court today regarding the petition while after taking into account all the fact presented, the Appeals Court concluded its hearing and set a date to announce its decision.